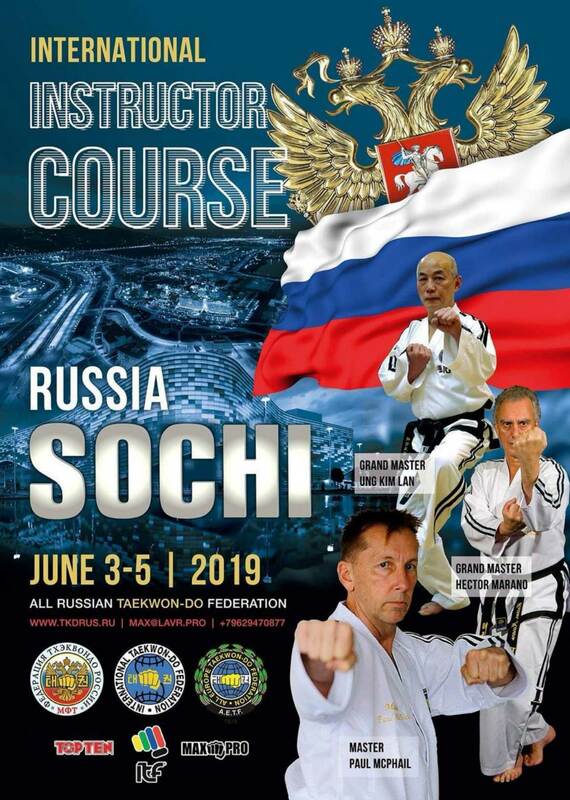 The All Russia Taekwon-Do Federation (ARTF) has the honour to invite you to an International Instructors Course (IIC) in Sochi, Russia. The IIC will be held from Monday the 3rd to Wednesday the 5th of June, 2019. The event will take place in the Imeretinskiy Hotel. The seminar will be conducted by the ITF Technical Committee: Grand Master Hector Marano (9th Degree – Argentina), Grand Master Lan Kim Ung (9th Degree - Germany) and Master Paul McPhail (8th Degree - Australia). On behalf of the Organising Committee and the ARTF, I hope that you will join us in Russia. We will do everything possible to turn your stay into an unforgettable experience.